A second view of Bolton 66 in October 1984. 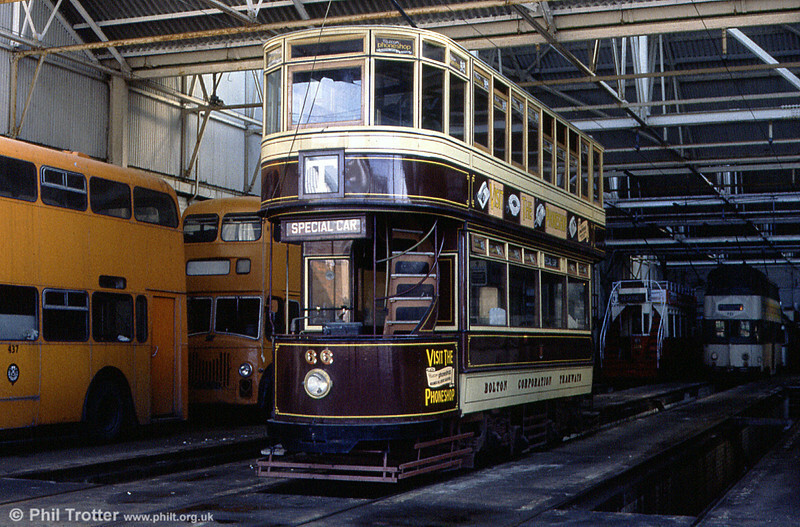 66 (By then renumbered 366) was withdrawn from service in 1946 and the lower saloon was sold as a caravan. It was rescued by local enthusiasts in 1964 and restoration included the building of a new top deck.